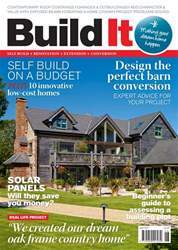 Planning a self build? Renovating a property? Looking to add more space to your current home? Or still searching for the ideal plot? Make sure you visit Build It Live this summer! Whatever your project, the show will give you all the inspiration and advice you need to make your dream home happen.